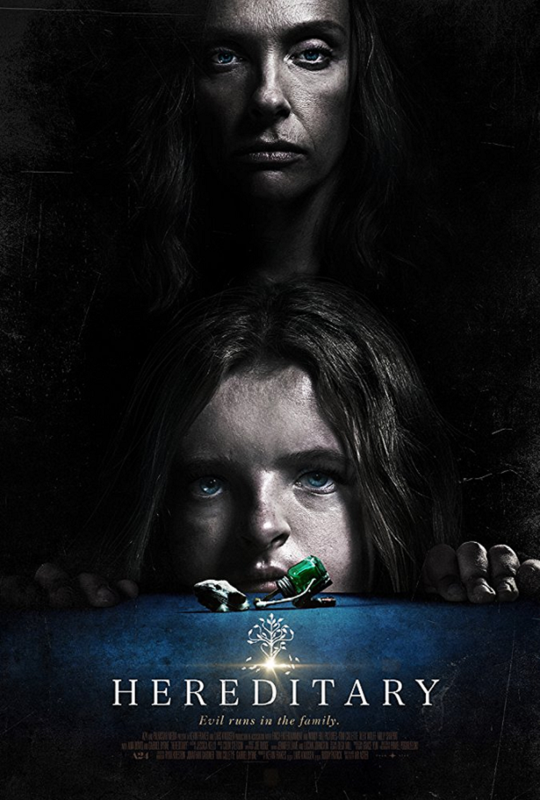 John’s Horror Corner: Hereditary (2018), an emotionally heavy family therapy session and séance gone wrong. MY CALL: Emotionally challenging and strikingly acted, this film is really different in all the ways I like. However, its ending wanders perhaps too far into the deep end for some viewers’ taste. 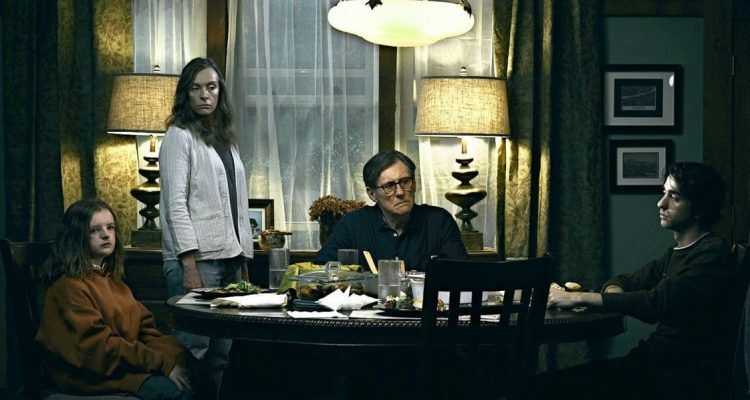 MOVIES LIKE Hereditary: Other slow-burn films about suppressed guilt and the family dynamics they affect include The Uninvited (2009), The Babadook (2014), Goodnight Mommy (2014) and The Witch (2016). I’m also reminded of The Skeleton Key (2005) for its connections to conjurations. Loss, grief and guilt… we all have our own way of dealing with them; expressing them… and how we do so may differ from one loss to another. 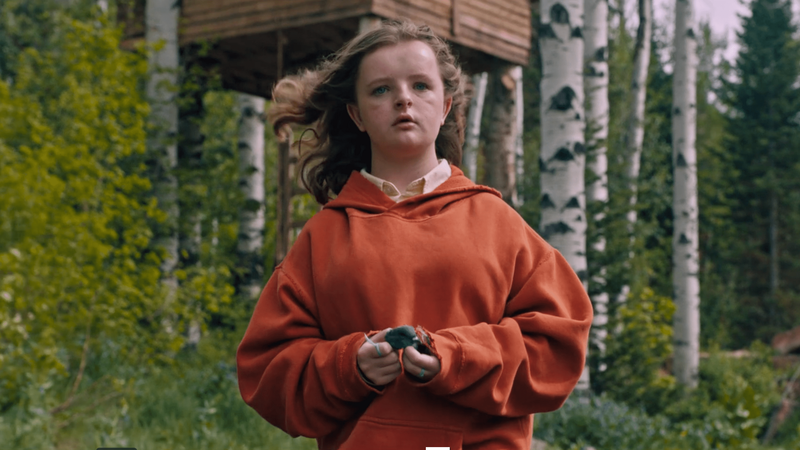 Hereditary examines Annie’s (Toni Collette; Krampus, Fright Night) family after the loss of her mother—grandmother to her teenage son Peter (Alex Wolff; My Friend Dahmer) and eccentric daughter Charlie (Milly Shapiro). As Annie questions her own grief—or, lack thereof—her husband Steve (Gabriel Byrne; Gothic, End of Days, Ghost Ship, The Keep) responsibly assumes the role of emotional caretaker, offering support and parental/husbandly surveillance over the household’s feelings. Most curious (or eerie) is young Charlie, who fears no one will care for her now. Emotionally disconnected, Charlie is a strange girl—perhaps even troubled. While everyone else tries to fall back into something more normal, Charlie is… looking for something else. It all begins weird, and then it gets way weirder. 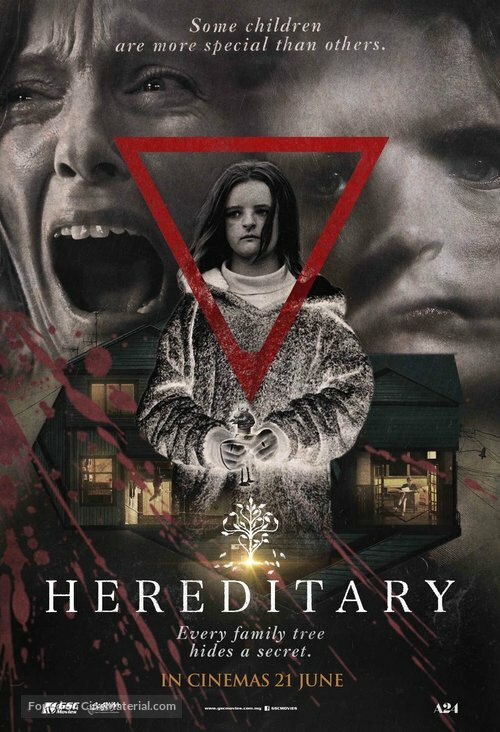 Despite its lengthy over-two-hour running time, it wastes no time leading the audience into unease with revelations of the deceased matriarch’s secrets, their family history of serious mental illness, messages from beyond, and glimmers of hallucinations (or even spirits?). We find visions of the deceased, birds kamikazeing into windows, and grave desecration. There is disturbing imagery in the form of severed heads swarming with ants, mismatched reflections, being burned alive and a troubling séance. But that’s nothing compared to the traumatizingly surreal—or maybe way too real—suffering the family endures in response to each other’s hysterical manifestations. Writer and director Ari Aster (upcoming Midsommar) fearlessly breaks into his first feature film. 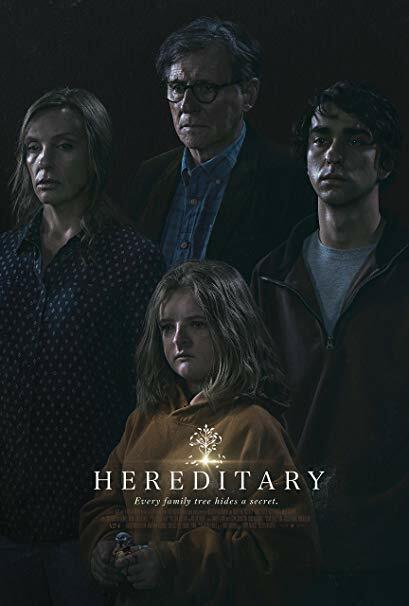 In collaboration with a powerful cast, this emotionally heavy movie finds an uncomfortably tangible sense of grief, blame, rage, melancholy, all manner of contempt; just normal mania pushed to the abnormal limits of our sanity. It’s rare I feel so uncomfortable and impressed at the same time. The pacing yo-yos from quiet and emotionally dismal lulls to normalcy until the middle, when things shift into erratic gear. Despite being well-lit and quite colorful, an outdoors scene momentarily smacks of The Witch (2016). It’s that slow-burn, dread-cultivating, mysterious mysticism. Another scene creepily samples from the Exorcist franchise. And with these honorable samplings of the past, the flavor presented is really all its own. This film gets so weird (and perhaps convoluted to its own detriment) that it sort of flies off the hinges. It does so to such degree that it may turn people off. Think along the lines of the unexpected turns in The Ritual (2017) or The Shrine (2010). To some, this makes it its own unique entity in the genre. To others, it makes it “uneven.” I’m more the former, but can easily recognize sentiments of the latter as well. In either case, I thought this movie was wowingly impactful. ← John’s Horror Corner: Spider Labyrinth (1988; aka, Il nido del ragno), an Italian B-movie about a cult and their demonic spider god. I really wish to see this movie. Looks very intense. Wow, that’s quite something then. So did you happen to see it yet? I’m going to watch it very soon.